A dress with lovely vintage flair and completely in vogue...We're swooning! This dress boasts a beautiful tan and cream linen fabric with amazing bow detail at the neckline. Front-button closure and full-length sleeves that you can wear down or fold up give this dress an extra pop of personality. Slip on your favorite heels, grab a clutch, and you'll be one classy lady! Embellished with a timeless tie bow at the neckline. This modest dress has absolutely no stretch and runs slimmer at the top, so order accordingly. 75% Rayon, 25% Nylon. Models are wearing sizes medium and small. 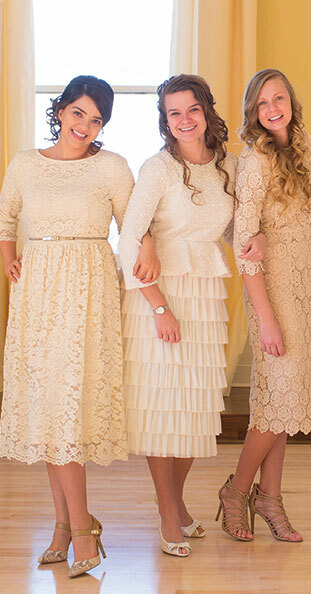 This dress is beautifully detailed from top to bottom! I love the classic fit and pattern. Happy with my purchase! True to size, perfect for summer events, lovely and really cute!!! This is my favorite so far!!! Lays awesome. It's gonna b cool for the summer!! I was blown away by this 1. So thankful it came in maxi length.